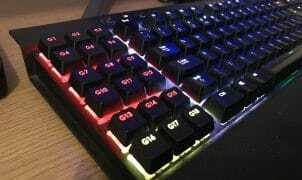 Razer have yet again very kindly supplied us with a review sample of the Razer Basilisk so we are able to bring you our review today. The Razer Basilisk is definitely not in the market for wining first prize at any beauty pageant but, as they say,”beauty is in the eye of the beholder”. First up, we look at the device in profile. 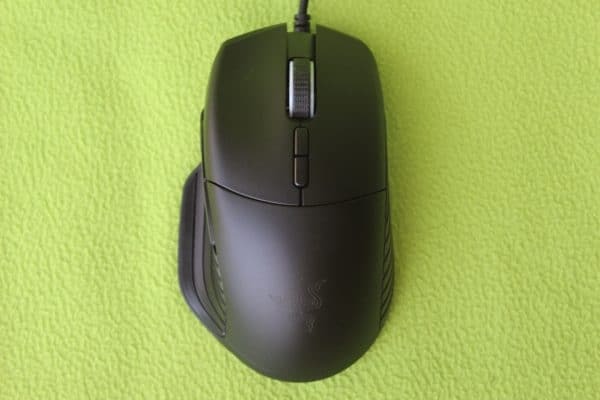 The first point to make is the ‘Captain Obvious’ observation – this is an ergonomic right-handed mouse; left-handers, unfortunately, need not apply here. 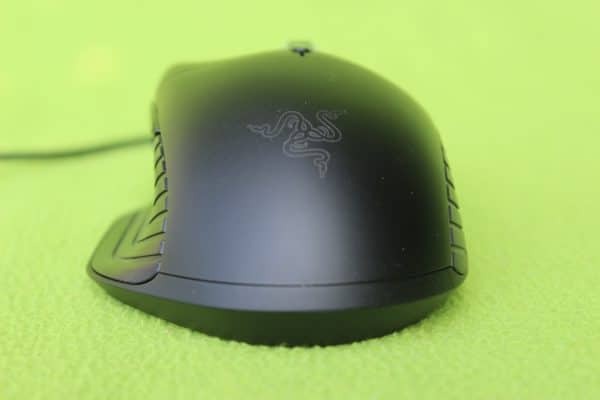 Next is the colour – it is a welcome return (after recently reviewing the Razer Lancehead in gun metal grey) to the black which we are familiar with most Razer peripherals to feature (barring the wave of ‘Mercury White’ editions that have recently entered Razer’s colour pallet). 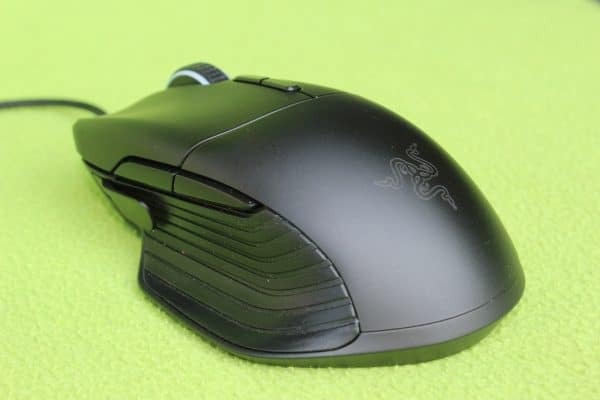 Moving on to the overhead shot, we can see that the mouse flairs out to the left hand side with a heavy indented thumb rest, of which the ribbed grip nicely extends right down to the base of the unit. 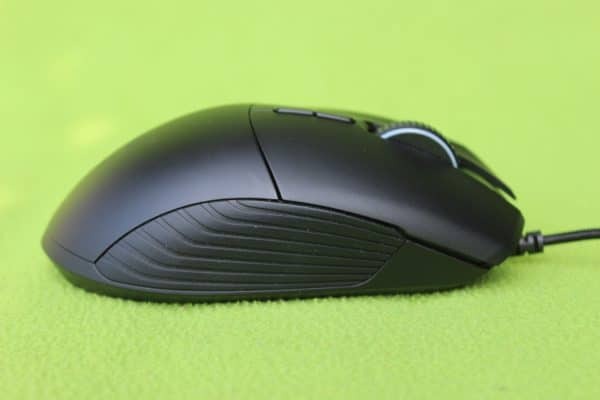 The mouse is obviously well suited to right-handed gamers looking for a comfortable experience and favours a ‘palm grip’ style of holding the device. 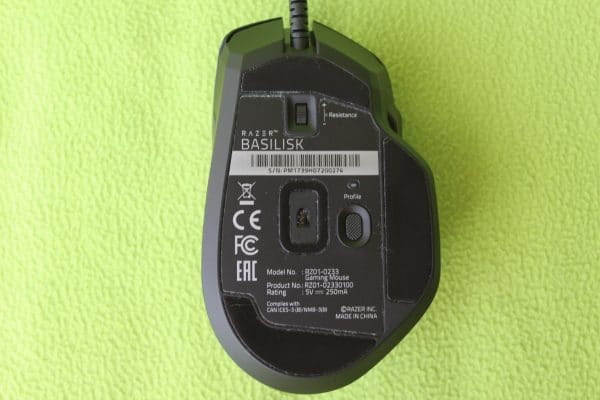 Moving to the left-hand shot, we see that the Razer Basilisk is a fairly traditional shape towards the back of the mouse / palm area (with a slightly snubbed / aggressive fall off than most mice), however, the forward portion of the mouse (main buttons) is actually fairly flat with a general gradient unlike most popular ergonomic shapes on the market today. 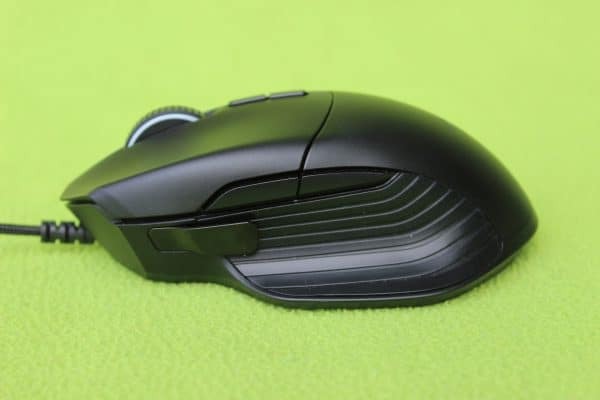 We can clearly see the two side buttons (which are well-placed and have an excellent tactile feel when pressed) but, unique to this mouse, we can see the additional removable clutch button. By default, this is used to temporarily decrease the sensitivity which can be useful for sniping for when the main DPI of the mouse is set quite high. 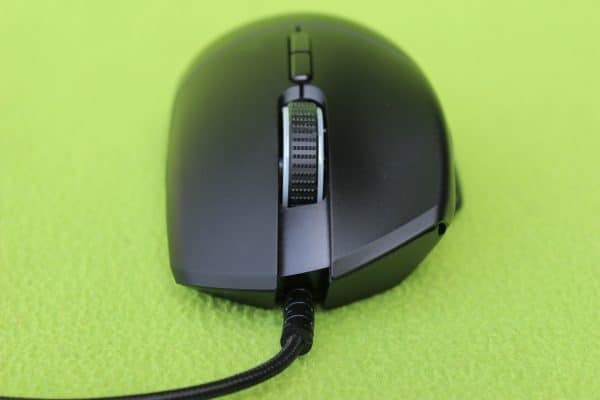 Flipping the mouse onto its back, the underside shows us the advanced 5G optical sensor towards the middle as well as some well placed and decent sized Teflon pads to the front, thumb rest side and rear of the mouse. There is also a hollow square of Teflon around the optical sensor to provide a fast, smooth tracking experience. From the bottom shot, we see the small ‘resistance’ wheel towards the front of the mouse which controls the tension in the ratchet and allows it to vary from firm and ‘clicky’, right the way through to ‘free wheel’ with no resistance at all. A very nice feature to be able to tune it exactly to your taste and requirements. Towards the middle-side we see the ‘Profile’ button. 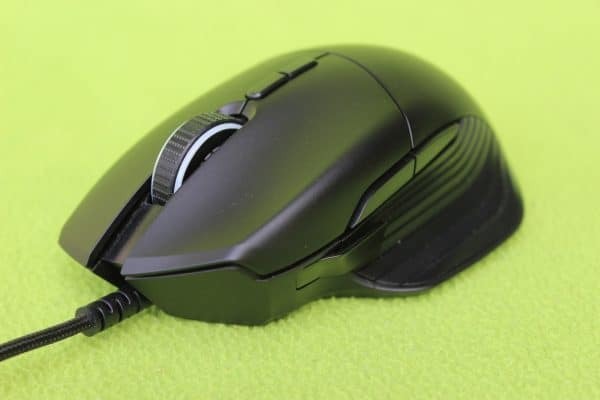 As the name suggests, this allows you to switch between different mouse profiles and isn’t a feature that we have seen on Razer mouse for a while since the introduction of the Razer Synapse 2.0 and all profiles being online-only and cloud based. 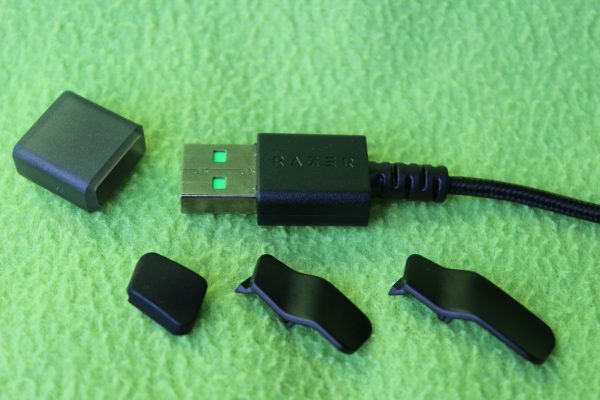 Finally, in this last shot, we can see the braided cable and gold-plated USB connector as you would come to expect from high-end Razer peripherals. In addition, the box comes with a clutch button cover (bottom-left – if you wish to not use the clutch button at all) and two sizes of clutch switch with the bottom-right having the longest reach back towards your thumb for optimum adjustment to your requirements. This concludes the product showcase, so let’s move onto the Razer Synapse software used to control the configuration of the mouse.